In belz the dog wags the tail, in vishnitz the Tail wags the dog. בזכות דער הייליגער רבי'ס קינדער, ניט בזכות דער רבי'ס הייליגער קינדער. Our friends in Satmar over the years have tried - and have been successful - in covering it up. Lipa Friedman: whitewashing the real rescuers. Anon: Meanwhile the objective reader will make his own evidence based conclusions (about the late SR AND the current one). veharotze litos yavo veyite. lipa frie: "faux rescuers who maybe send once non washed eggs thru Shulem Laufer". וואס וועלען מיר טרינקען אויף דעם סעודה'ניא? - דעם יין המשומר, דעם יין המשומר. You can find enthusiastic chasidim in every chassidus. 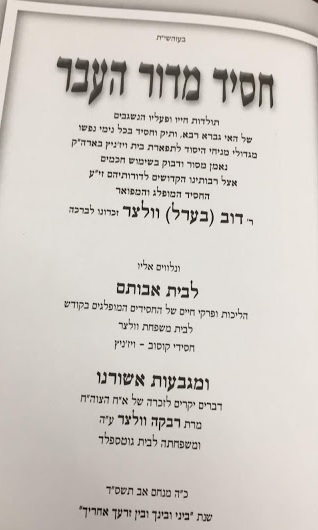 But a rebbe of r Mendl's ' level' that starts demanding this of every member and bestows on himself the title kudosh vetuor has nothing to do with viznitz. 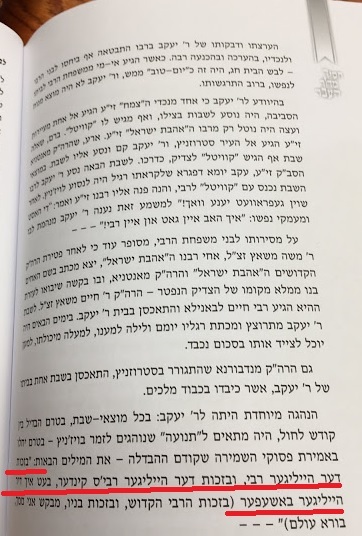 Sadigur was famous for its extreme chassidim, do you see today's sadigerrer rebbe - btw a battaamter yid a big Talmud chochom, go off the deep end and harangue his olom to be that way? The reason you see this anecdote in print is exactly that ; it was an anomaly not the norm .